Deputy president William Ruto is known winner and everyone he supports politically ends up winning. 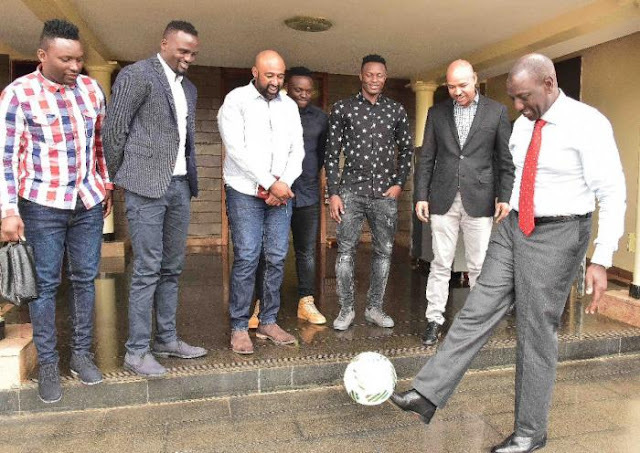 Ruto winning streak might be a good luck to the team he is supporting in today's worldcup finals. Today clear favorites France will fave underdogs Croatia. France are expected to win and all odds are for them. In a Twitter post William Ruto threw his support for underdogs Croatia and said that they must win in todays final. "Torn between France,the only African team in the finals,and Croatia, my favourite & underdog I guess Croatia is my team for finals! Meanwhile congrats brits for a good show. Brexit it was!" Kenyans will be eagerly waiting for the game which will kick off today at 5 p.m.